Free Daily Analysis | To Make Money While Sleeping Is Possible. G’day Surfers – isn’t it nice to open the charts to find the StP Swing & Relax Strategy has put some pips in your account and you are gathering more pips FOR FREE??? Yes, our Swing & Relax Strategy (trading Yen crosses on H4 time chart) order triggered an entry on EUR/JPY @ 106.72. Our first Take Profit of 15pips is in the bank and we are now trading the cross for free. Having 2 strategies at our disposal is certainly valuable in this very tough market. 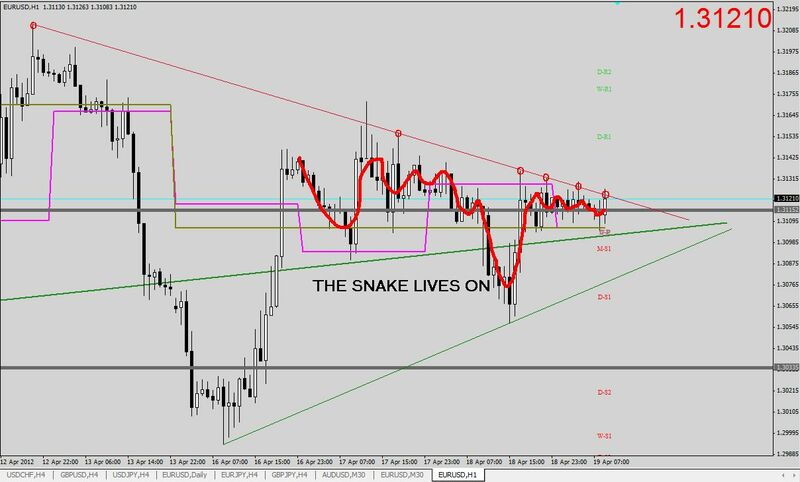 Finding good entries on EUR/USD M30 Chart has been extremely difficult all week and yesterday was certainly no exception. Price action only left the comfort of our major support/resistance level 0f 1.3115 long enough to produce a false breakout of that level, the Weekly Pivot AND our long term Support Trendline. Despite this being precisely what we asked the market to do – price action wouldn’t setup a Surfing the Pips entry – so we stayed flat. The week of no direction continues as do the false breakouts and long tail candles. Price action is once again inseparable from our bespoke 1.3115 level. Daily & Weekly pivots have continued their liaison, today adopting a Bear hug…..mmmmm – prophetic?? I’m struggling once again to find a meaningful pattern, such is the indecision of the market. Price action has again remained above the long term support trendline so my sentiment remains slightly bullish but there’s nothing in it guys. 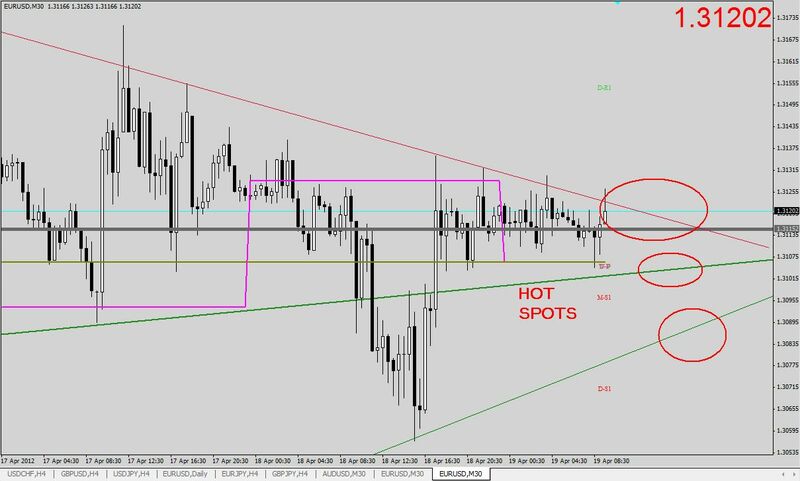 Price action is on a Hotspot on a good resistance trendline as I write this and we may see an early play if price sets up an StP Secret Pattern. It’s wait & see for the most part however and again I will let price action come to me. Have a great day & weekend. ← Look how we make money. Watch the recording of yesterday Live Trading Room for FREE.